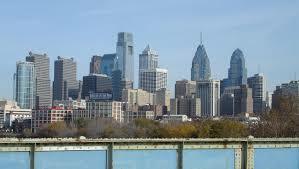 Philadelphia research papers look into the most recent demographic figures taken in 2012 of Philadelphia, Pennsylvania. According to the United States Census Bureau, the most recent demographic figures taken in 2012 of Philadelphia, Pennsylvania begin with an estimated population increase of 1.4%; from 1,526,006 in 2010 to 1,547,607. Age characteristics in percentages include 6.6% for 5 years and under, ages 6-to-18 are represented by 22.5%, 19 to 64 totals 58.8%, and the remaining 12.1% are 65 years and older. By gender females outnumber males totaling 52.8%. There are 2.54 persons per household, with a median household income of $37,016. 26.2% of all people in Philadelphia live in poverty. According to a 2011 report by the Pew Trust, “Philadelphia has experienced significant changes in its ethnic and racial composition over the last two decades….” The changes have been quite telling throughout Northeast Philadelphia, where in 1990 92 percent of the population was white and in 2010 their numbers were estimated to be at 58.3 percent. Over the last 20 years the ethnic and racial population has shifted and has dispersed throughout the city and it is wondered if this is partially due to a significant decline of non-Hispanic whites, which fell by 31.9 percent. While the increase of African Americans was minimal, at 3.3 percent, the population of Hispanics or Latinos increased by 110.3% and Asians by an astounding 126.6%. Poverty and Crime research papers discuss the affect that poverty has on crime. Paper Masters writes custom research papers on Philadelphia and look into the most recent demographic figures taken in 2012 of Philadelphia, Pennsylvania.